Last December FIFA announced that the 2022 World cup host was Qatar and the kingdom has already begun some of the most ambitious engineering feats seen till now. The Guardian reported that members of the Qatar committee kicked into action when they were picked after a rigorous questioning over the treatment of women, terrorism and the scorching heat of the desert. The most easiest of the questions to answer was what Qatar would do to beat the hear. Summer temperatures here could reach up to 120 Fahrenheit. Engineers are said to have come up with a plan where a large robotic cloud-like structure made from light weight carbon will fly above the massive stadium kept using solar-powered engines. 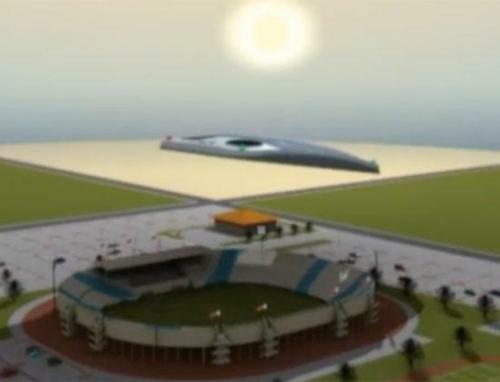 This artificial cloud will be flown over the Lusail Iconic stadium by remote control to provide share to some 86,250 spectators! Do you think we are kidding? We have a video to prove that we are not! Robotic Hand for the Rich!